"I'm not a great self publicist but I will try to give you an idea about my little journey in sound." 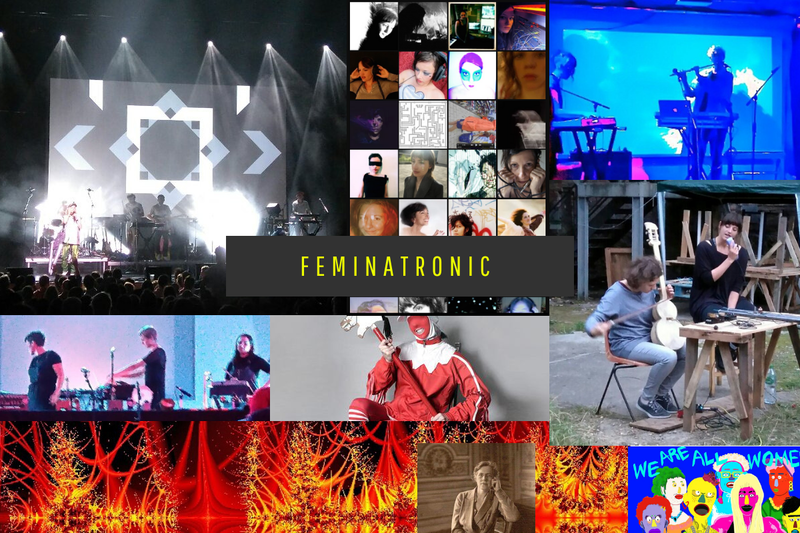 Perhaps you may or may not know of Feminatronic, a website that is "about celebrating and highlighting the musical creativity of electronic artists who just happen to identify as female". A large yet very simple repository of music, artists showcases, DJ mixes and related news focussing on female talent and voices. In a nutshell, Feminatronic is about celebrating and highlighting the musical creativity of electronic artists who just happen to identify as female. It includes women from all genres of electronic music making, producers, engineers, sound artists, writers, bloggers, DJs, Organisations and websites, all of whom combine to make electronic music interesting and evolving, building upon great historical foundations. It is a personal voyage of discovery and as such, is an on-going evolving site that is perennially under construction, which is a good thing. The website is also an agency? How did Feminatronic take form? When I began this journey 6 years ago, I had no idea how it would be greeted. It was a means to keep in contact and give some space to a small handful of mainly ambient / space musicians that I have loose connections with. With time, I found there were a lot more women creating Ambient / Space / Electronic music out in the aether than I had realised and was shocked by the lack of perceived visibility on my part. Spurred on by this and an increasing sense of isolation, I set up Feminatronic as a Facebook page and it quickly evolved into covering as much electronic music, sound art and installations created by those identifying as women that I came across. This ethos of highlighting artists and sharing their work is the foundation of Feminatronic and there are four core ideas behind it. Visibility, Amplification, Parity, Normality. Generating awareness is a difficult thing. What is your take on it? I see Feminatronic as a metaphorical megaphone or the ripple effect. Following on from visibility there have been several ways to get the word out. Obviously reposting, SoundCloud spotlight, Bandcamp releases, social media for all its faults can be very useful. Many thanks also go to the reviewers, writers, bloggers, labels and websites who allow me to reblog their articles on my and on other platforms. In essence, you are not supporting me personally but the many artists who deserve to have greater visibility. 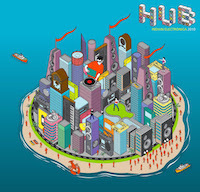 That I have seen increasingly are groups / organisations who are proactively and physically creating spaces for women to either get a chance to create music for compilations via call outs or learning about production techniques, providing training or opportunities to perform, social support and community building. Your view on gender imbalance? There is so much I could say about this as it needs a massive change in attitudes, language, unconscious and subconscious prejudices and there seems a long way off but in simple terms, this for me is what I hope for - to ultimately just have an equal chance or opportunity no matter what your gender, ability, age, race, etc.